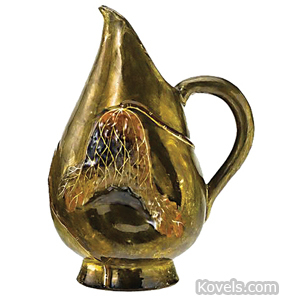 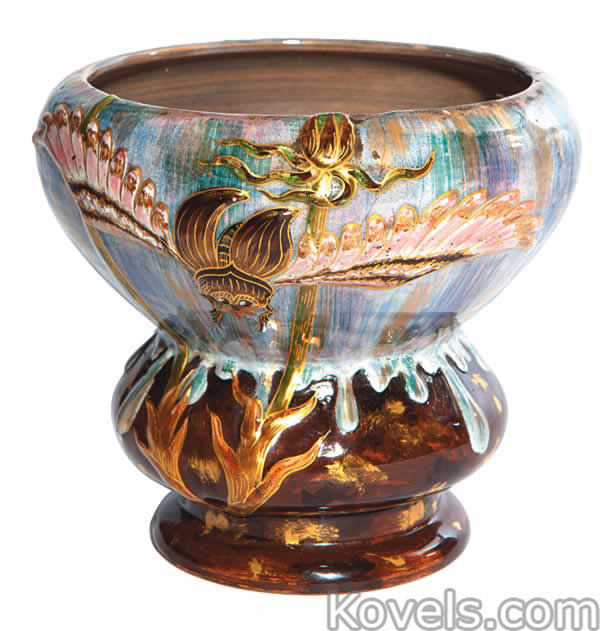 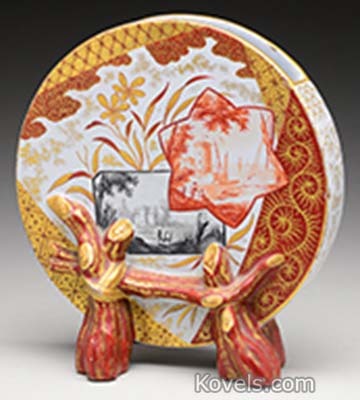 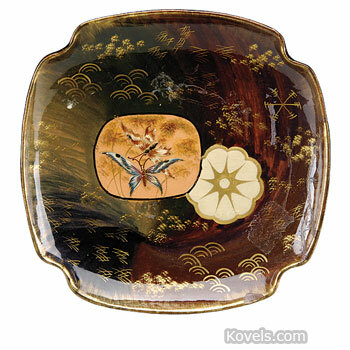 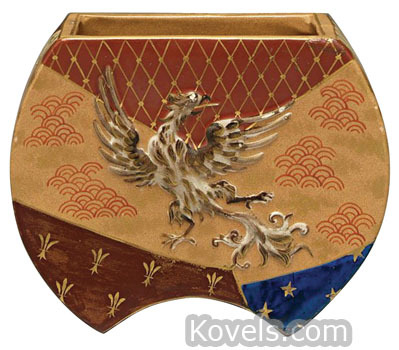 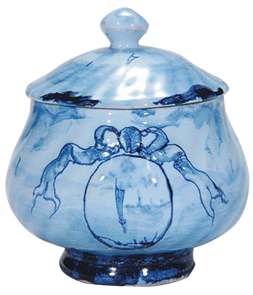 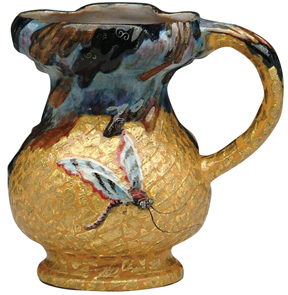 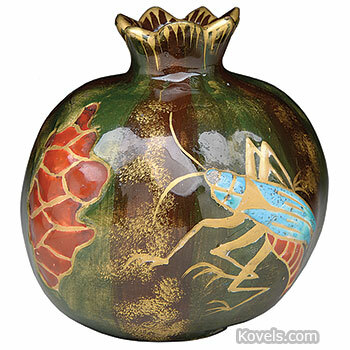 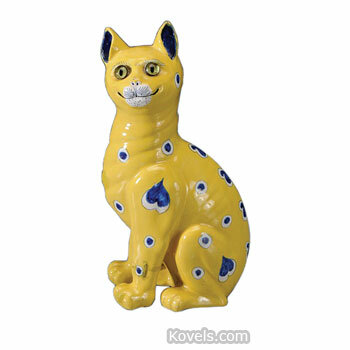 Galle pottery was made by Emile Galle, the famous French designer, after 1874. 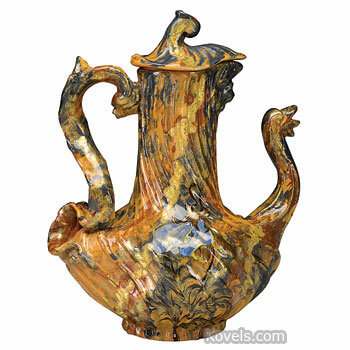 The pieces were marked with the impressed initials E.G., Em. 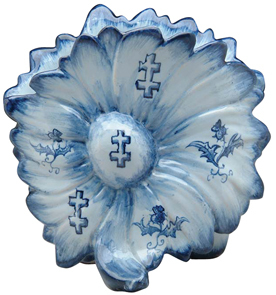 Galle Faiencerie de Nancy, or a version of his signature. 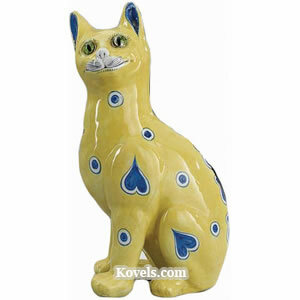 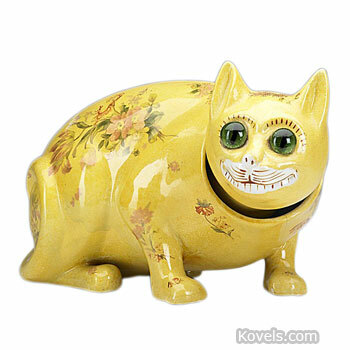 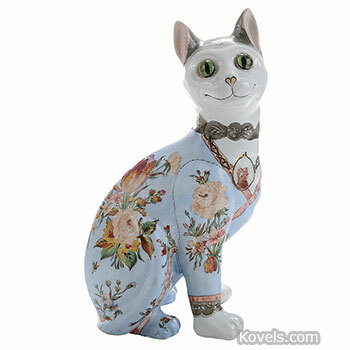 Galle made many amusing, colorful, grinning pottery cats. 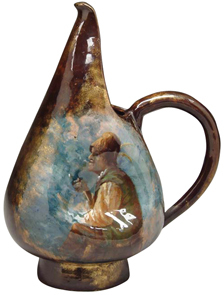 Galle is best known for his glass, listed above.